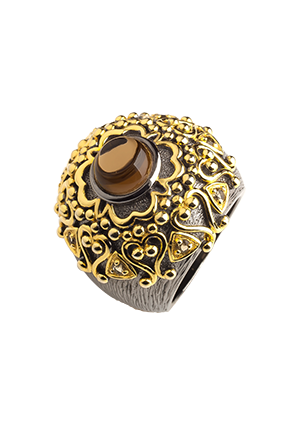 The gold patterns on black gold form a beautiful frame for the smoky quartz. 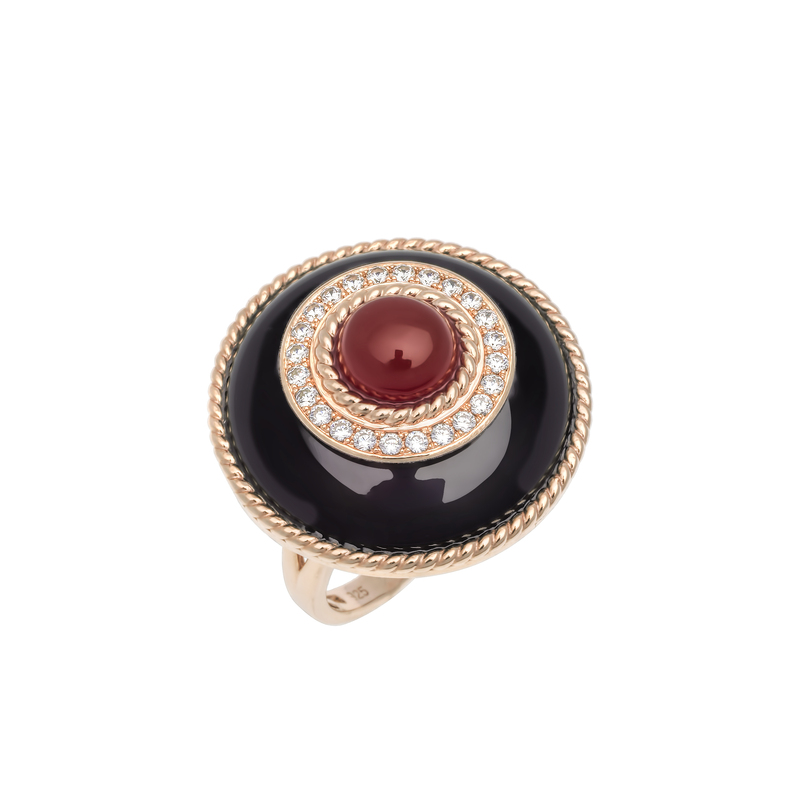 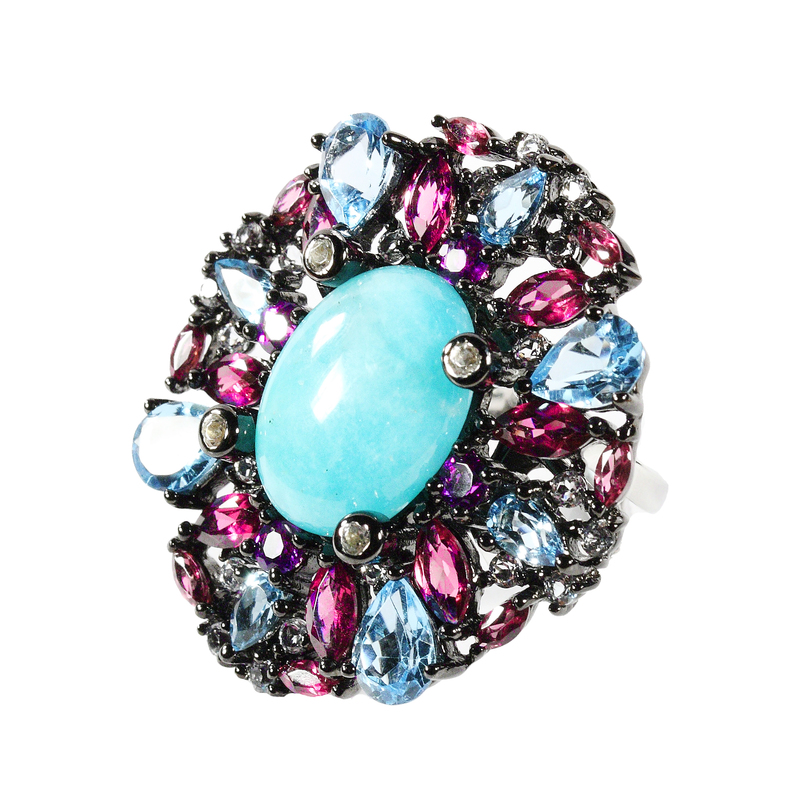 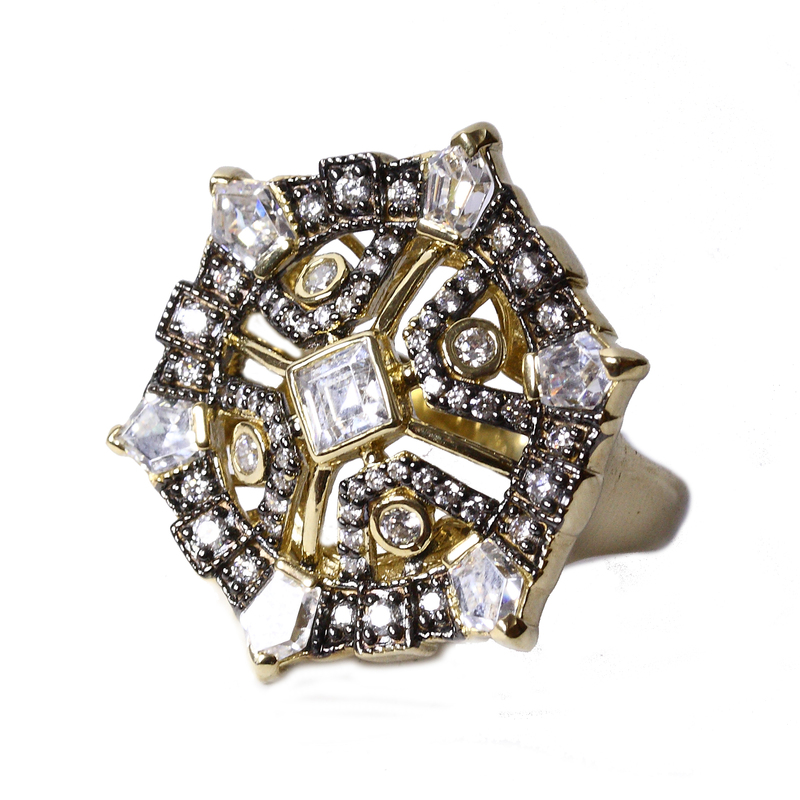 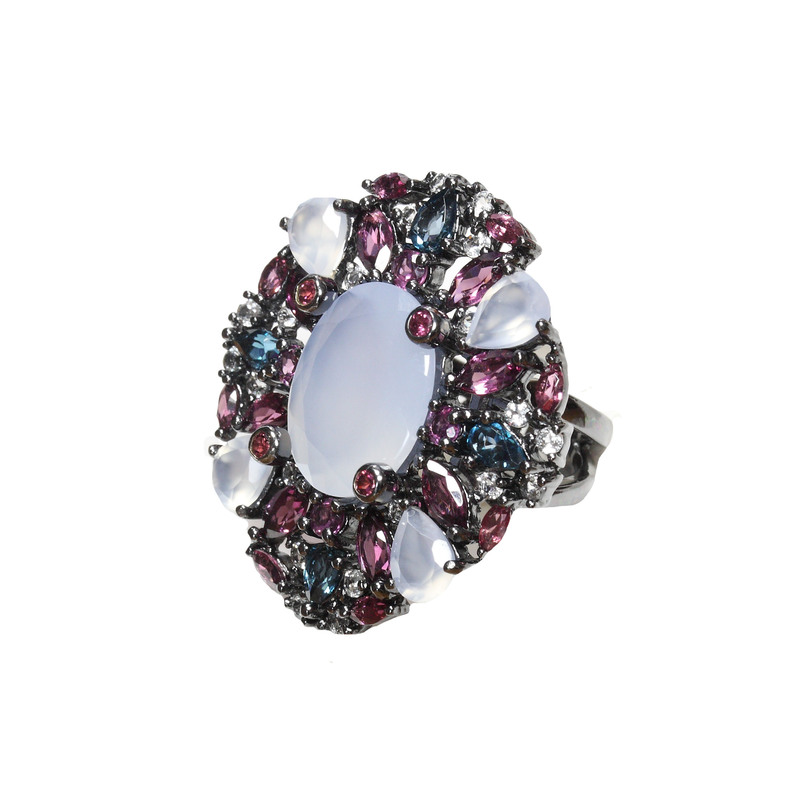 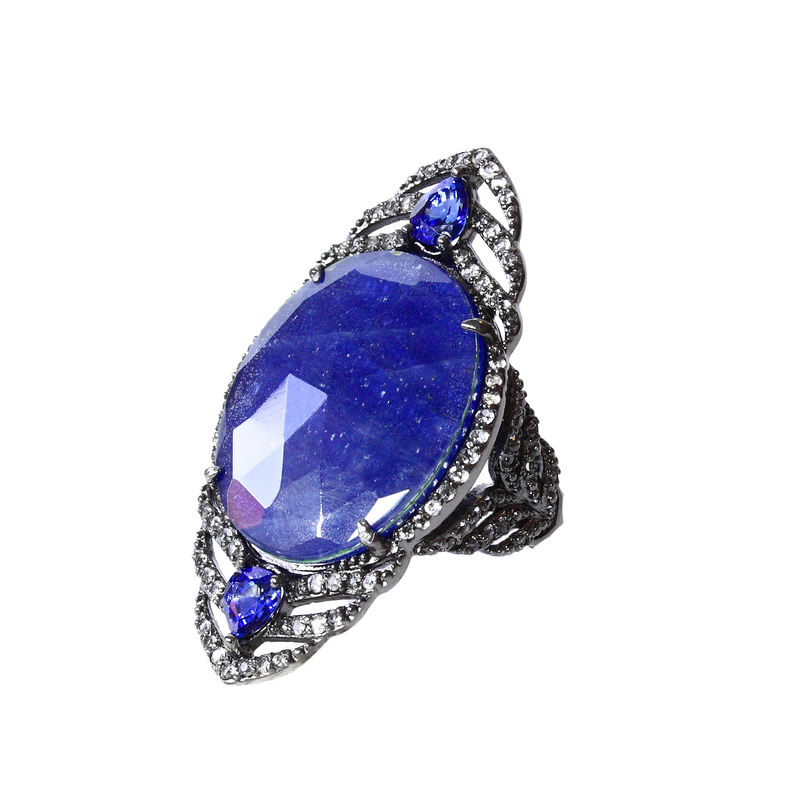 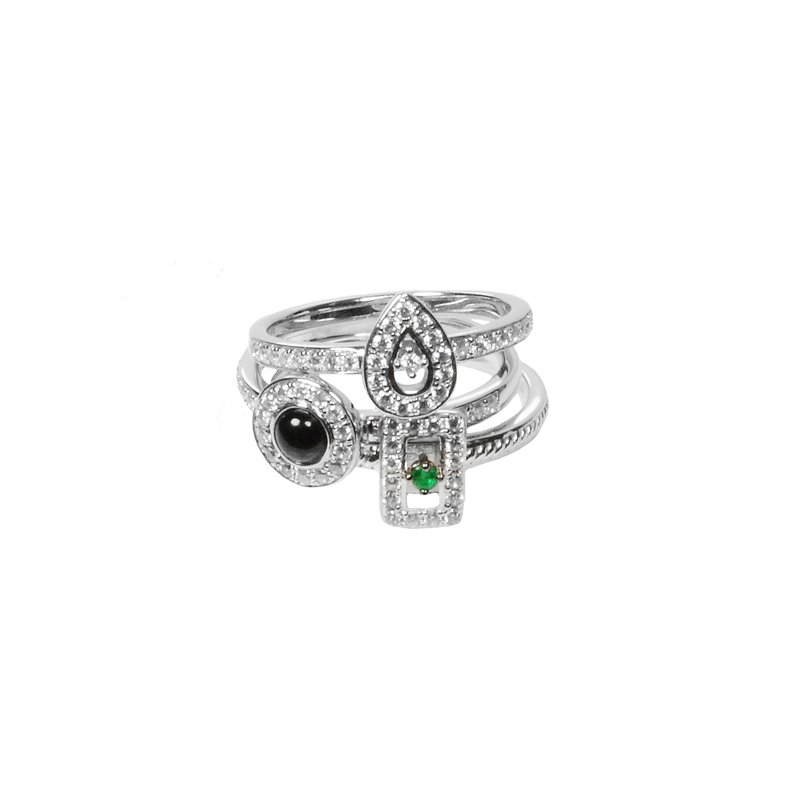 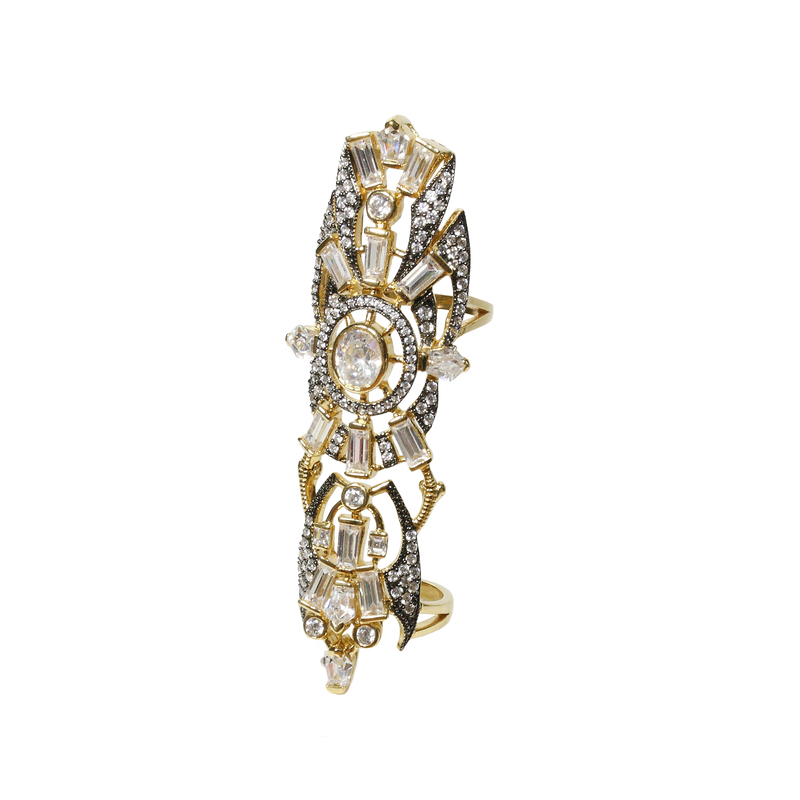 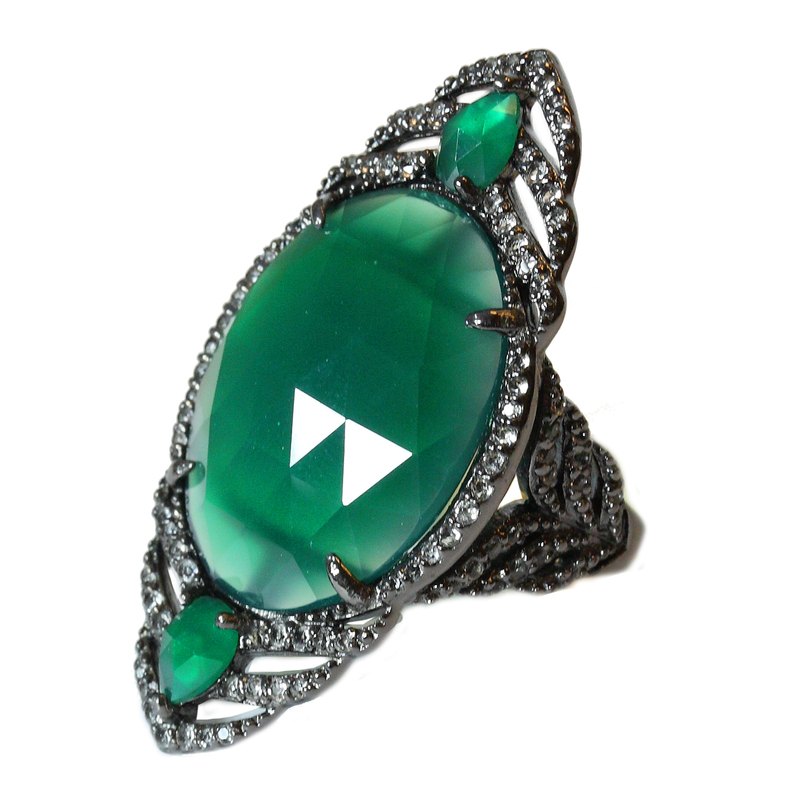 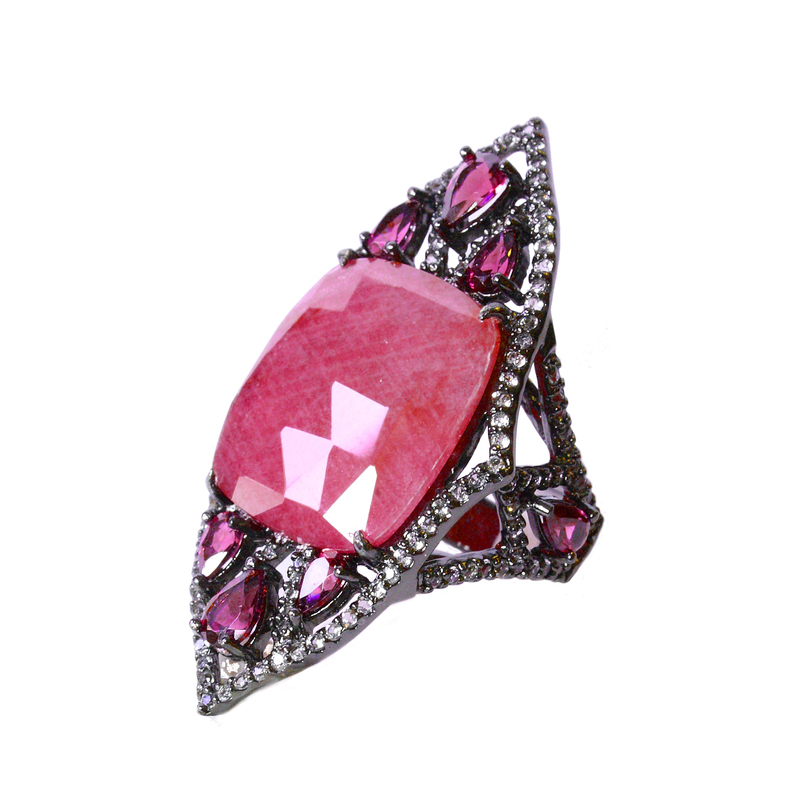 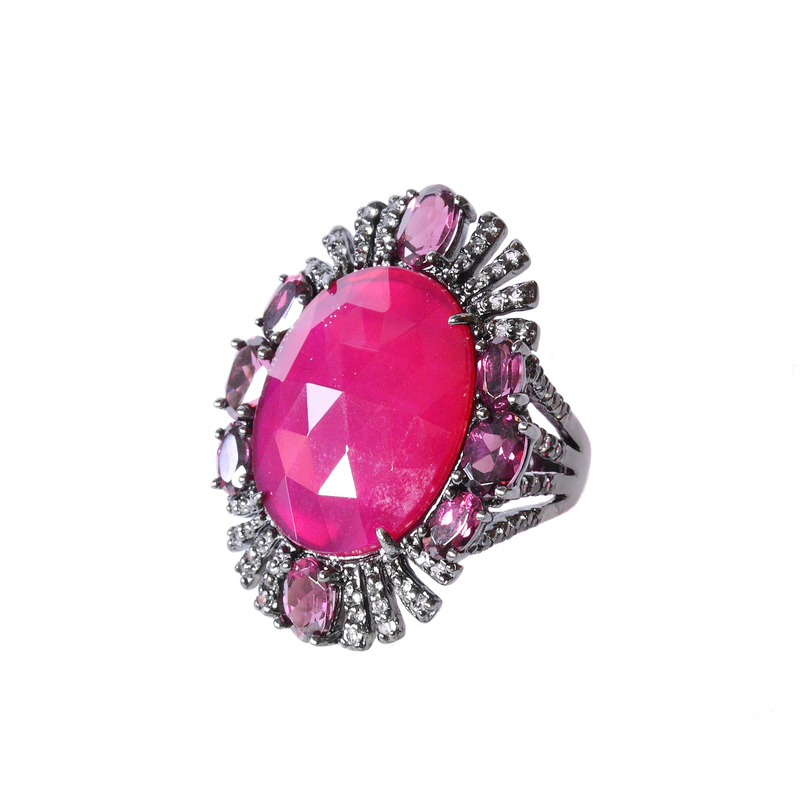 A bold ring with a distinct Oriental style. 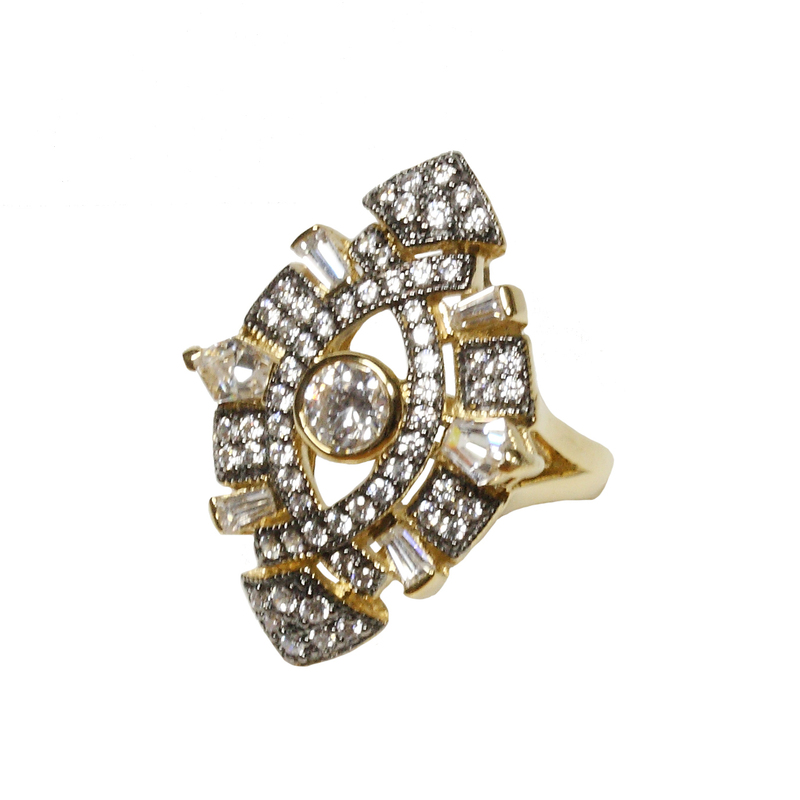 It goes well with a business suit and even classic-style everyday clothes.